A fun packed week learning new dance routines and performing on a professional stage! Rosewood Dance academy is a friendly and professional dance school offering classes to students who have an enthusiasm to dance. The ultimate aim of Rosewood Dance Academy is for students to thrive, have fun and to be encouraged to reach their full dancing potential. Rosewood Dance Academy believes in providing exceptional dance training in a safe, happy and professional atmosphere. No matter what ability students will have lots of fun learning to dance whether it's to work towards examinations or to simply participate for fun and fitness. Male or Female, Experienced or Beginner. All are welcome! 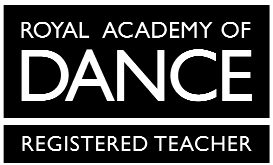 Dance classes available in Ely, Soham, Newmarket, Waterbech and Haddenham.